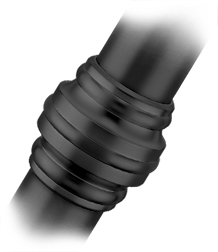 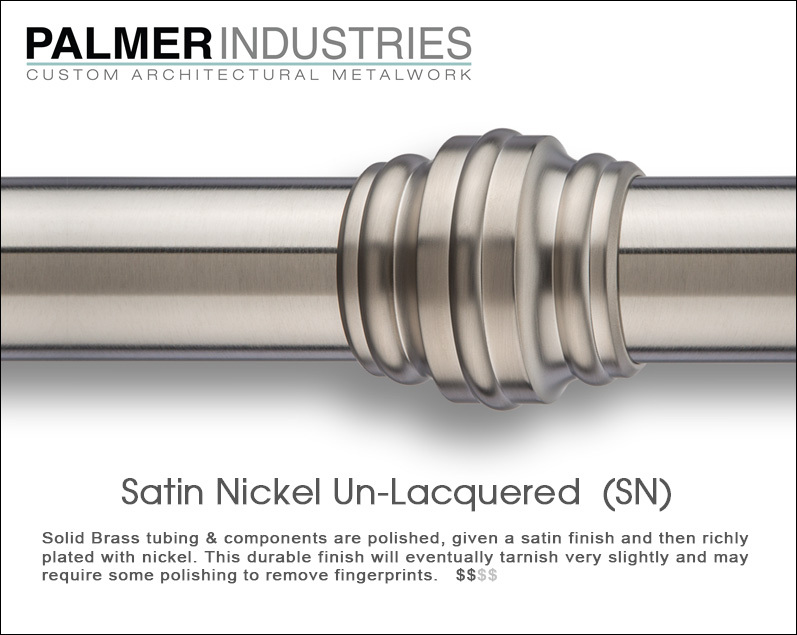 Durable, Colorful and Care-Free Finishing Technology – Available at a Premium Cost with an extended production lead time. 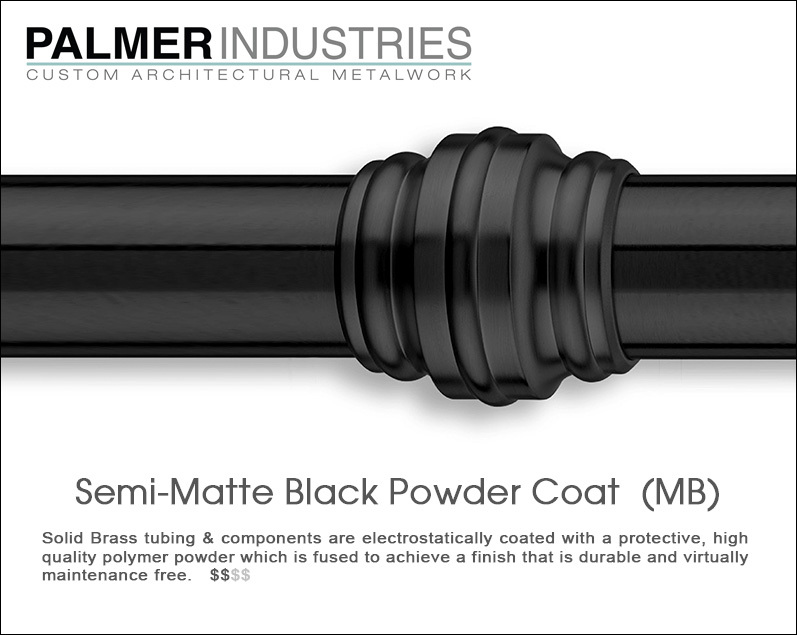 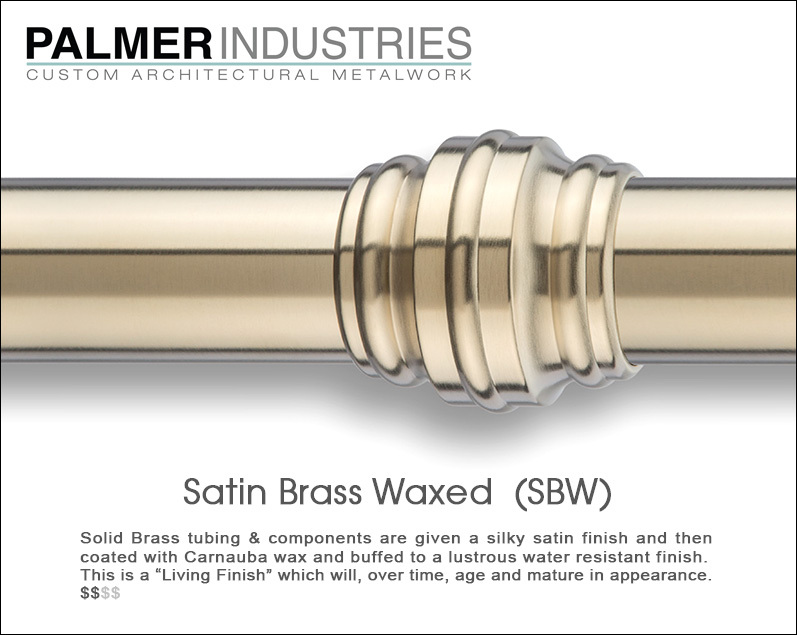 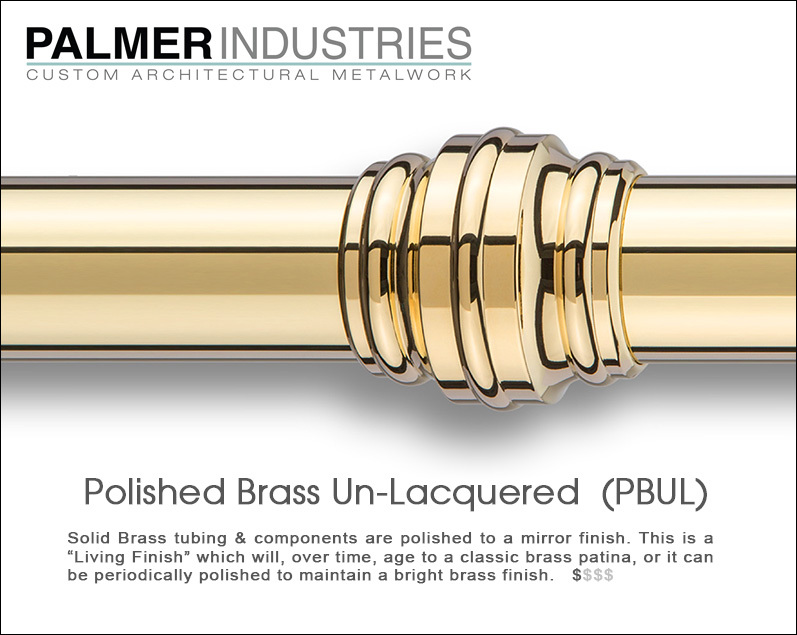 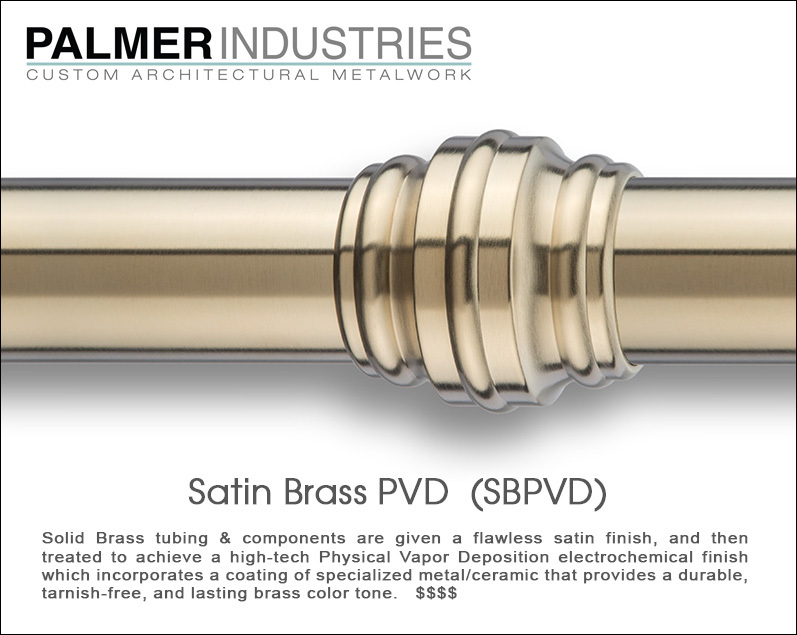 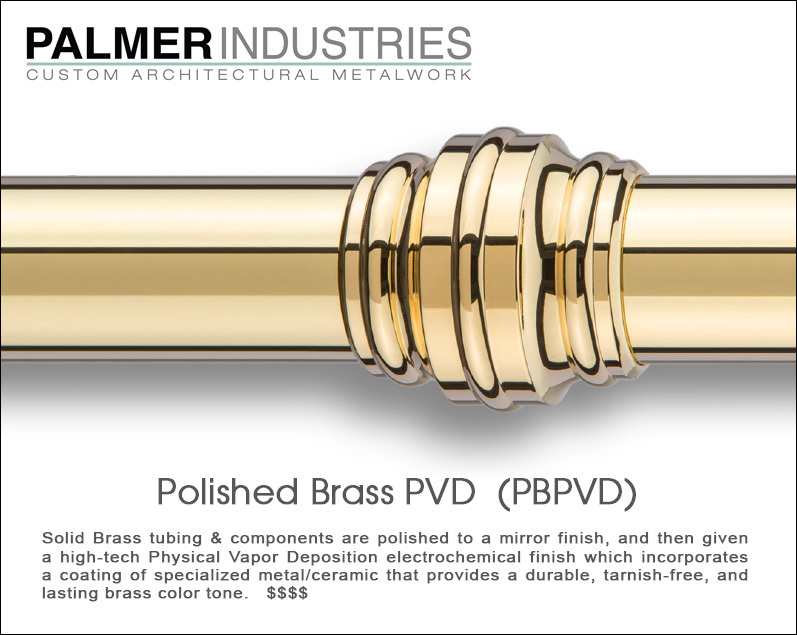 All Palmer Industries vanity components and tubing are solid brass, which is far superior to “white metal”, aluminum, or steel, all of which are prone to oxidation and rust. 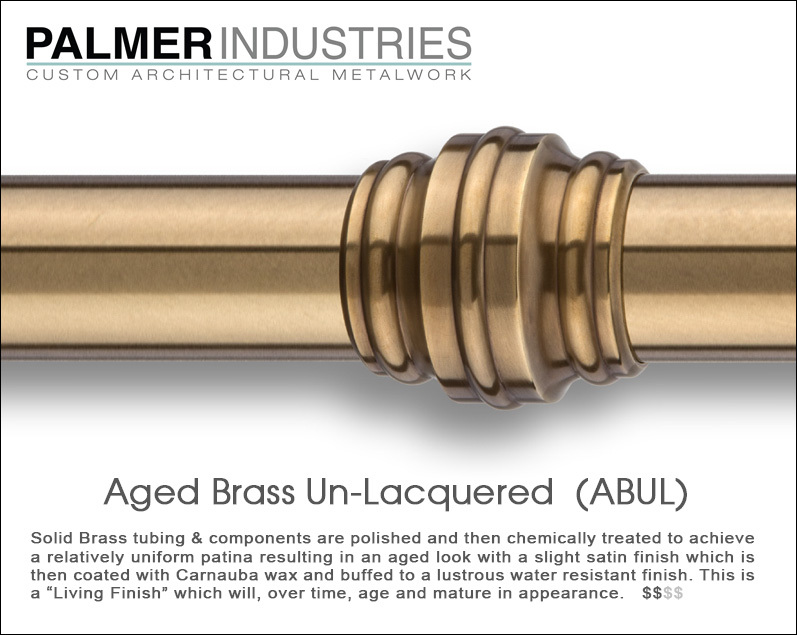 Brass, an alloy of copper and zinc, is the perfect base metal to receive lustrous chrome and nickel plating. 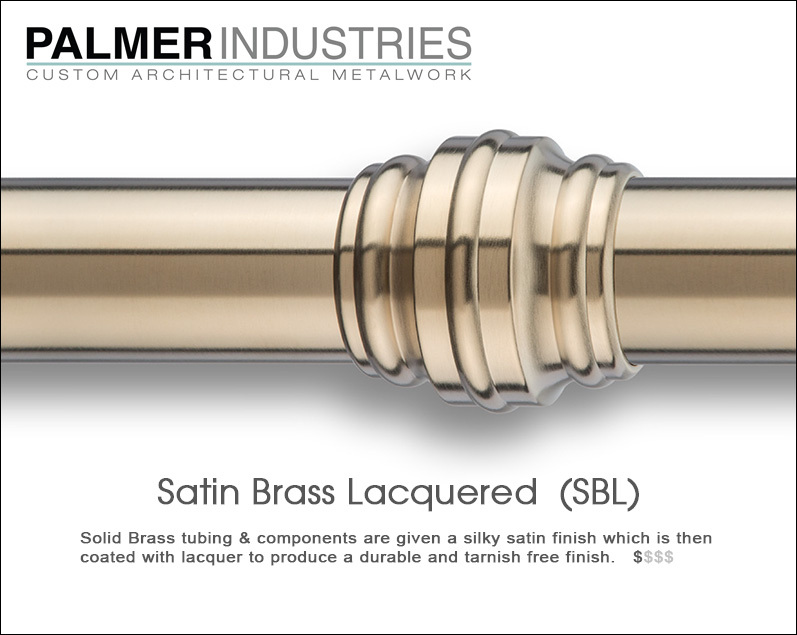 While more expensive than many other metals, brass has historically been the ideal choice for achieving exceptional surface finish and detail. 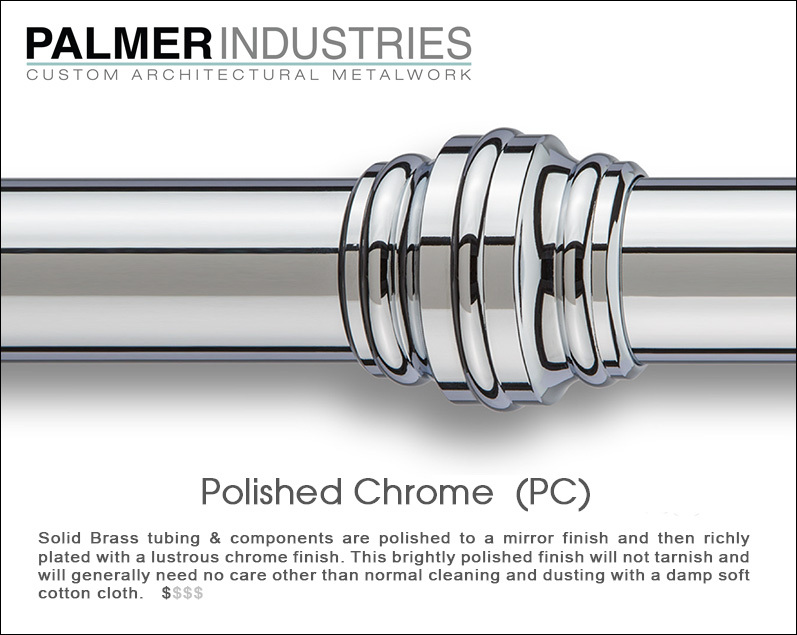 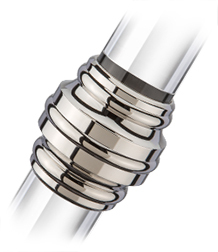 Our chrome and nickel Plated finishes are architectural grade, consistent with the quality of premium decorative plumbing fixtures. 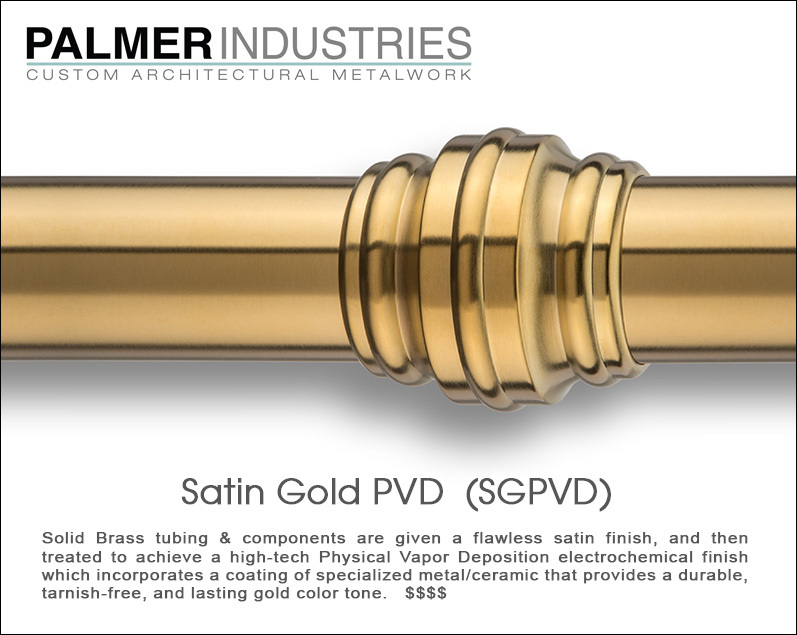 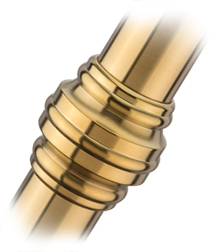 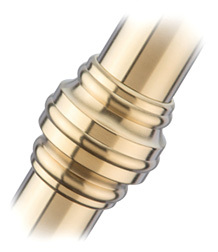 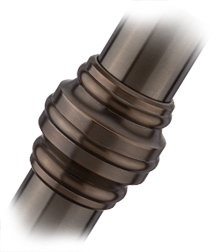 The custom PVD finishes (Physical Vapor Deposition) incorporate a coating of very hard, specialized material that provides a durable, care-free, and lasting color tone. 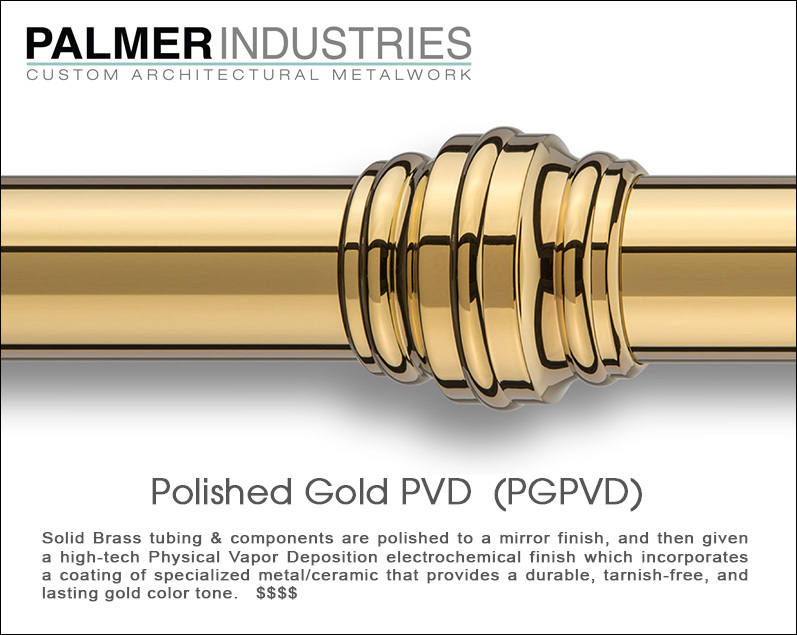 PVD finishes do not tarnish or discolor and carry a premium cost with extended production lead times. 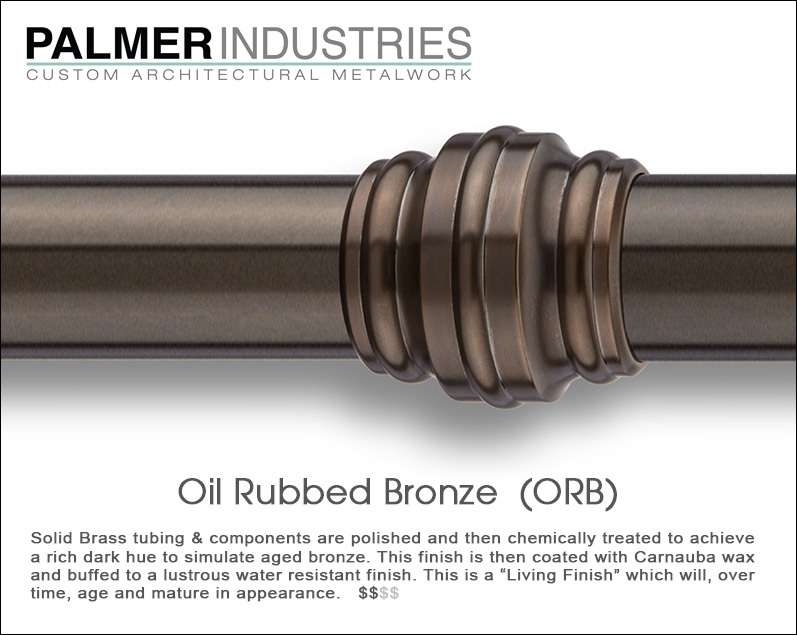 The Living finishes offer an ever-changing patina, as their tone and luster will gracefully age with time and unique environmental conditions. 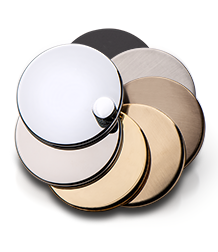 These hand-crafted artisinal finishes are subject to variations in lightness and color. 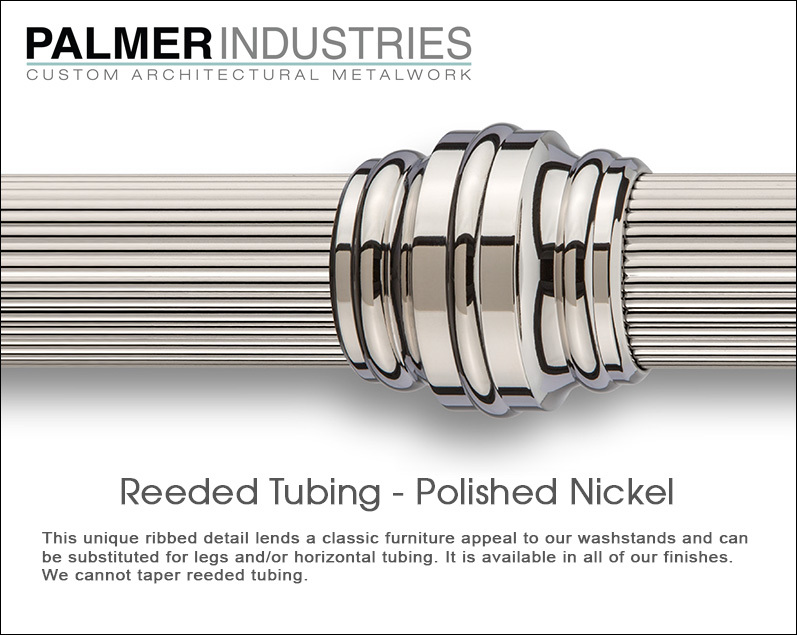 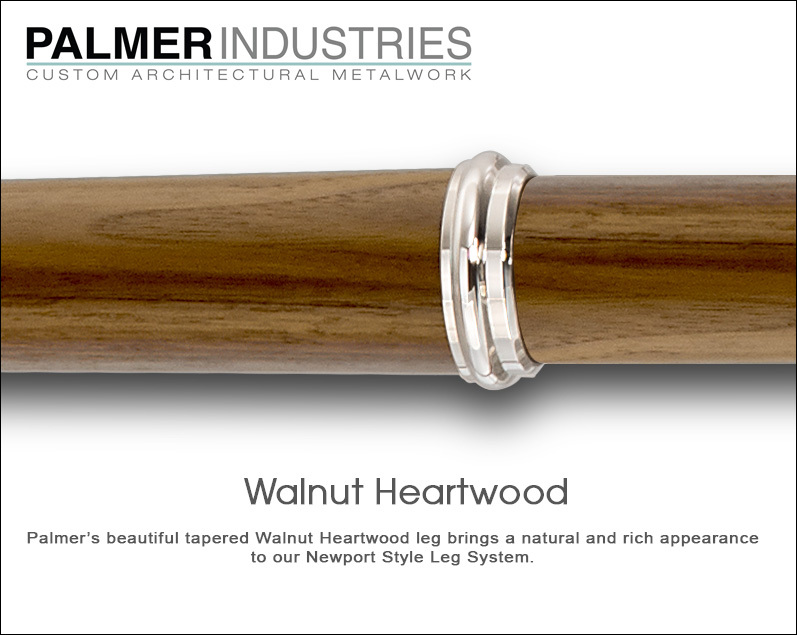 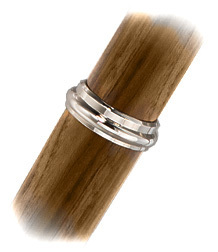 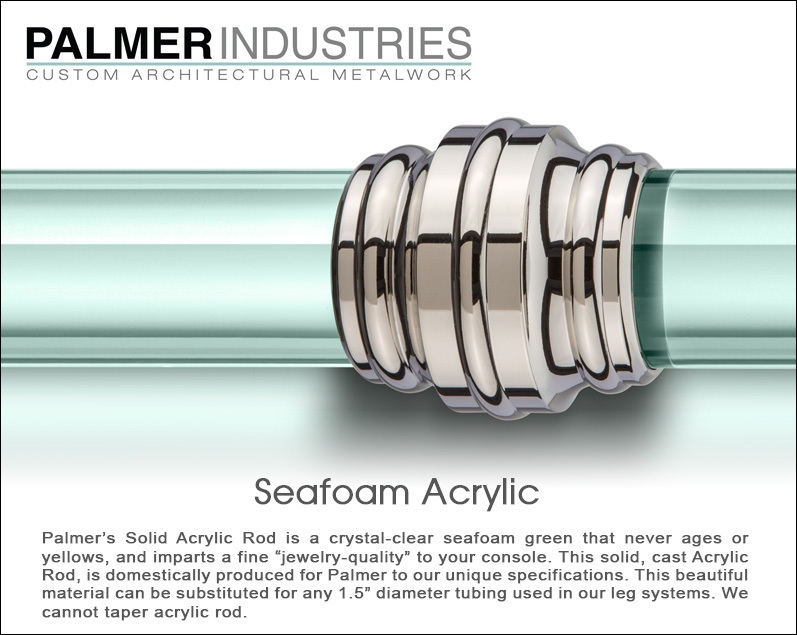 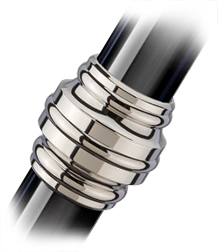 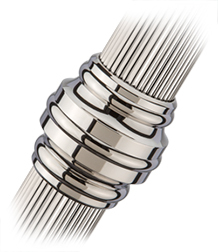 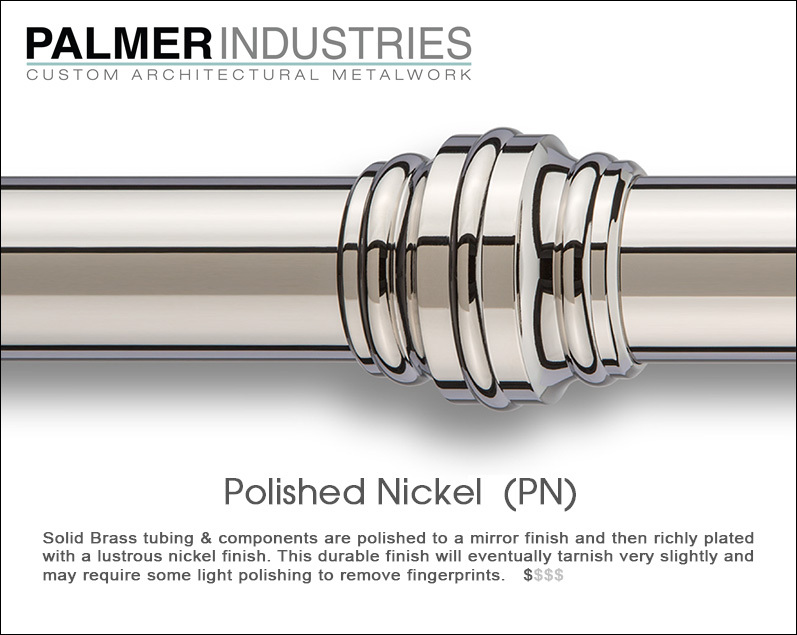 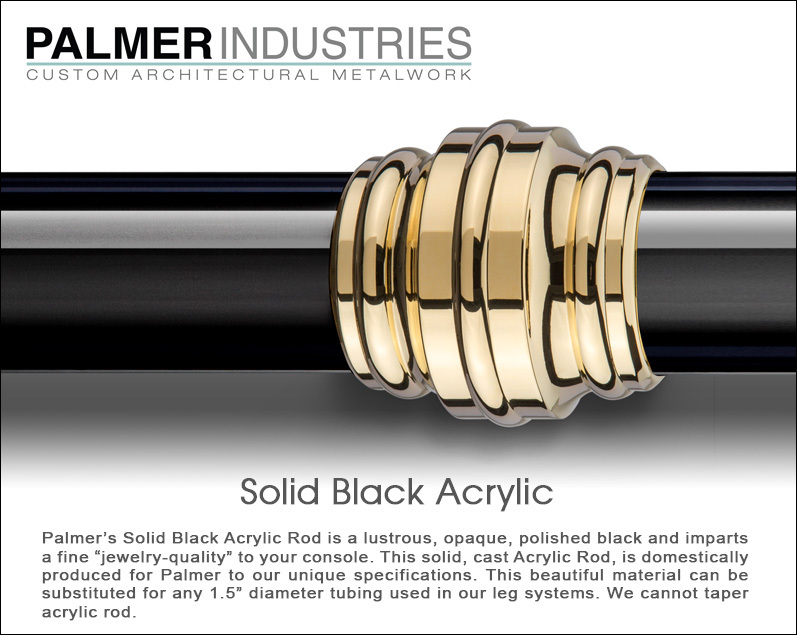 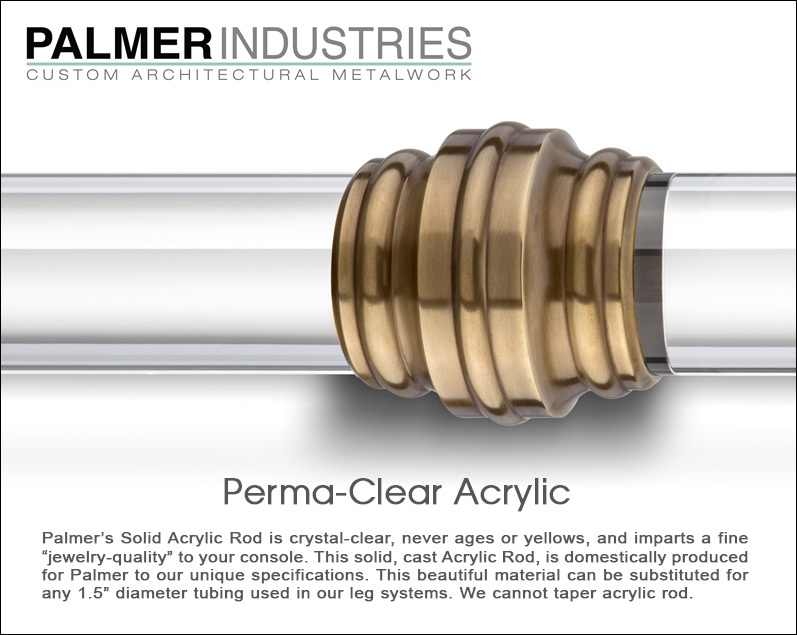 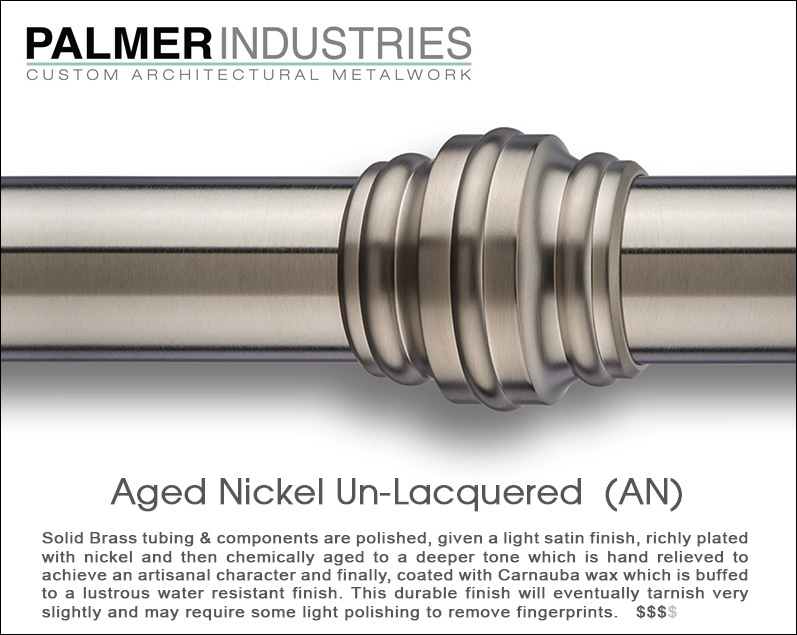 The Palmer Acrylic rod is custom produced domestically to our specifications, providing a crystal clear, jewelry-like detail.